I have a problem when I fly……what to wear. I want to be comfortable but stylish without being too over the top. I don’t want to look as if I have tried. I just want to look as if I chose my outfit minutes before leaving the house, simply throwing it together with style ease. We all know those sorts of outfits are the worst to put together and I always leave thinking I have it right but later find my new flat (sensible!) ankle strap (didn’t think it through!) sandals struggle to be fastened when I am departing the plane because my feet have swollen to an unrecognisable sight. If you are travelling in the winter, a maxi dress is amazing. You can wear leggings underneath and even boots to brave the British winter as these are hardly seen. On top, pop on a cardigan and carry a pashmina in case you need it. When you arrive at your exotic destination, you can take off all your winter wear and be left with your summer maxi dress. Make sure you carry light weight flip flops in your hand luggage to quickly pop on (the boots would give the game away). Try to avoid white. I have worn white several times and have been lucky but I always worry it wont be white when I arrive. You never know who you will be sitting next to or what could be spilt on you! If you want to wear your whites then pack a light weight spare top/bottoms in your hand luggage if you can to change into if the worst happens. Do not wear strappy sandals or evening shoes. Unless you’re Victoria Beckham it’s not a practical look and not a particularly stylish one. Your fellow passengers will think it’s odd and you will be getting looks mostly for all the wrong reasons. THINK COMFORT! I chose a pair of Toms to fly to Malaysia in. They were flat and comfortable when I tried them on in the shop and were quite classic and stylish. However, I didn’t break them in (although they are now broken in they’re very comfortable but still….not for the plane). After the first leg of our flight, I hobbled off the plane as they were rubbing my heels and the strap was at bursting point with my feet having swollen because they had been strapped in. The 20 minute walk that followed was not pretty and certainly not stylish. Try your most comfortable flip flops or a pair of pumps and make sure you break them in! Always take a pair of socks with you in your hand luggage. If you want to take your shoes off, you may not wish to put your bare feet onto the floor. Socks provide a good barrier! Also, you usually get pretty high up in a plane and it’s much cooler up there and your little toes may get cold and so socks keep your feet warm. That pashmina from earlier may come in handy too to act as a blanket. Don’t wear fabrics which are susceptible to snagging, tearing or staining easily. You will be bending down, stretching, moving past objects quite closely. You will probably also look as though you really did just pick something out to wear that morning as your outfit will most likely be creased. Pick denim (skinny black jeans tick every box but feel free to go for colour), cotton or a viscose/elastane mix. A final thing…..if you want to sleep on a plane take ear plugs as a minimum! MTG recently visited a wonderful distillery near New Quay in Wales. This place is terrific. It’s small, friendly, organic and it makes and sells a different kind of gin to the ones you get on the supermarket shelf. 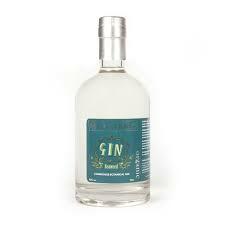 If you a gin connoisseur or if you want to impress your guests then we would certainly recommend a visit. The distillery launched its seaweed gin on 1 March 2014 and quickly sold out and it’s no wonder why. When you first taste this gin, your tastebuds will spring into life and you will want to try more to break down the layers of flavour and of course, to crank up your intake of super foods! Situated down a long and narrow farm track in Llandysul, you may feel as though you have taken a wrong turn. Stick with it and right at the very bottom, you will find a very smart art gallery/tasting centre where the owners will be delighted to introduce you to a number of Artisan Organic Spirits. You will find it difficult to leave empty handed once you have had a taste of its award winning spirits and make sure you stock up as they are in high demand. The distillery also shares its home with Teifi Farmhouse Cheese. Before you even walk into the shop you can smell how good this cheese is and so it’s no surprise to discover that its flagship cheese is multi-award winning. Made on-site at the farm’s dairy, the distinct cheeses are crafted using only the finest, locally sourced raw (unpasteurised) milk. With its Artisan model, exceptional quality of produce and friendly welcome, we predict very good things to come for Glynhynod Farm.